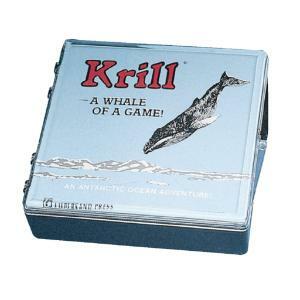 Home > Educational Materials > Biology Educational Materials > Biology Educational Games > Krill — A Whale Of A Game! Krill — A Whale Of A Game! Krill is a versatile card game that takes students on an ocean adventure as they learn all about a marine food chain. Easy-to-understand instructions list five different games to play with the cards, for small groups or entire classes. Two or more players, ages 8 to adult.